The Curry Mile in Manchester is widely known for the vast quantity of mainly Pakistani and Bangladeshi restaurants and takeaways. Blended in with a few kebab houses and fried chicken joints it is definitely one of the places to visit whilst in Manchester. 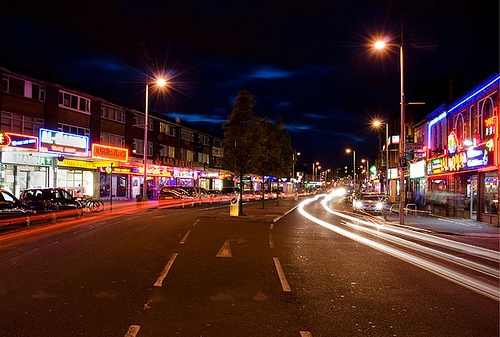 Bright neon lights, shisha bars and plenty of food is one way to sum up the stretch of road in Rusholme. It is claimed that there are over 70 Asian takeaways and restaurants in around a mile of road, hence the name. The Curry Mile comes alive later on in the evening and is certainly a spectacular sight for those going out for a meal in the darker, winter months. My only complaint would be that a lot of these places are quite expensive, probably because of the electricity bills they pay on their lighting! Prices aside though, a good majority of the food is tasty and the service you get is great. This stretch of road is very popular with students due to the late opening times of the restaurants and its location in comparison to Fallowfield (a popular student area). Some of the establishments stay open till around 4am! This combined with the general 'fame' it holds in Manchester, and the fact that it resides just 2 miles from the city centre makes it a very full place in the evenings, so don't expect to find an easy parking space if you decide to drive. There are plenty of bus stops down the Curry Mile and taxis are easy to pick up therefore transport is usually not an issue. For those of you coming back through the area drunk and in search of food, you've hit the jackpot, there are dozens of fried chicken places and probably even more kebab shops (I have to say I have never counted). This is not to say you can't enjoy either sober. 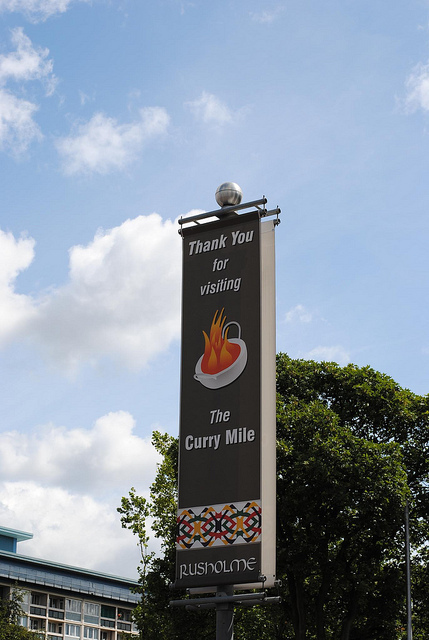 In all the Curry Mile has managed to separate itself from the city whilst being in a very central location. The differentiation from the overall feel of Manchester that this place provides is, in its own right, spectacular. I would recommend to anyone to visit this area for a meal. Cost: Depends on what you buy! The Great Cake War - Which Cake Will Win?